In this Inside Sponsorship episode, we talk to Rachel Beaney about how to run best practice social media competitions for sponsors. Rachel Beaney is a freelance digital media specialist, with a wide variety of experience in creating multimedia projects, social media and online content. She has worked as an editor, a social strategist, on social media execution, community management and real-time social media integration. She is fluent in creating engaging content, with a solid technical understanding of the web. She’s worked on social media campaigns for big names like Microsoft, Aussie Home Loans, Network Ten, MasterChef Australia and more. Rachel is passionate about teaching in a friendly and accessible way and helping people get the most out of digital and social media for their businesses. 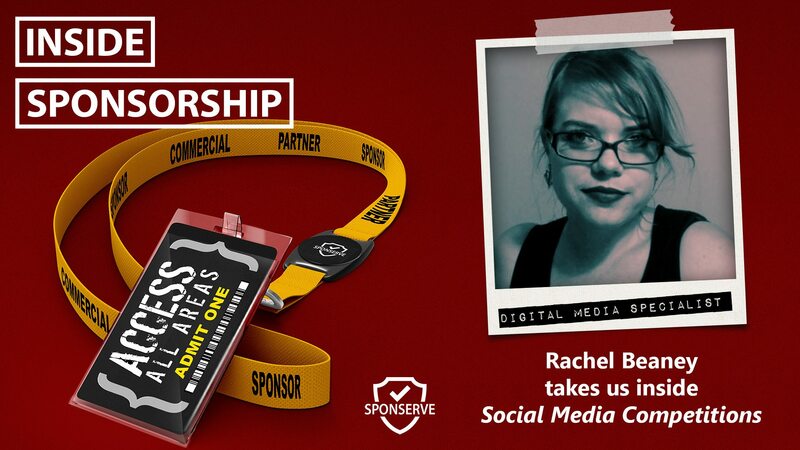 So that’s why we asked Rachel to come on the show and take us inside running social media competitions for sponsors. You can out more and connect with Rachel on her website, rachelbeaney.com, as well as Facebook, Twitter, Instagram, LinkedIn and YouTube. Here are the links mentioned int he show to Rachel’s Ultimate Checklist for Creating Competitions For Social Media as well as Facebook’s Promotion Guidelines. Also, we catch up with Mark Thompson, to discuss his latest blog, and this time we talked about the three things it takes to be great at sponsorship management. You can read Mark’s full blog post here.